There is pretty much nothing known about the traditional Athenian sacrifice to Zeus Epoptes, aside from a footnote about the fact that it was done in the month of Metageitnion. The general consensus appears to be that Epoptes means “watcher” or “overseer”, but irregardless I consider it is most highly appropriate in honoring the god who is all-seer. It is hardly a coincidence that those who were initiated in the Eleusinian mysteries were likewise called epoptes in reference to the fact that they were people who have seen or witnessed through the ceremony of initiation. So this brings me back to what mythic scene links to the two of these ideas so closely together. I determined it was the agreement between Zeus and Hades regarding the marriage of Persephone. Zeus as one who foresees all things would likely have been aware in this myth of what would happen in result, but also the spiritual benefits that would arise via the mystery program at Eleusis and the sending of his daughter from among the blessed. Therefore I see him as the one who is overseeing the progression of the soul, and the god who is sending his daughter in response to mortal suffering (even though this too causes suffering of a different kind with the season of famine) to be as queen with Hades before she may again arise. Therefore Zeus is first and foremost the witness of this program, in such that he can be seen as the grand designer of the initiate’s way. This seems quite appropriate considering how close this sacrifice is the program of the mysteries at Eleusis in the following month. 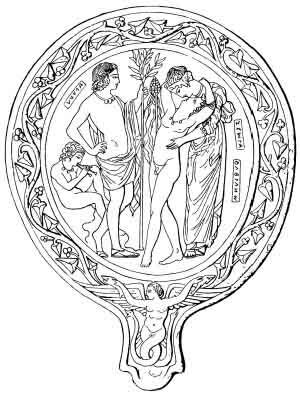 Therefore for this ritual I have decided a simple image (which I plan on remaking on a nicer scale for the next year) of Zeus together with Demeter and Persephone. This is the central image for the ritual offerings. 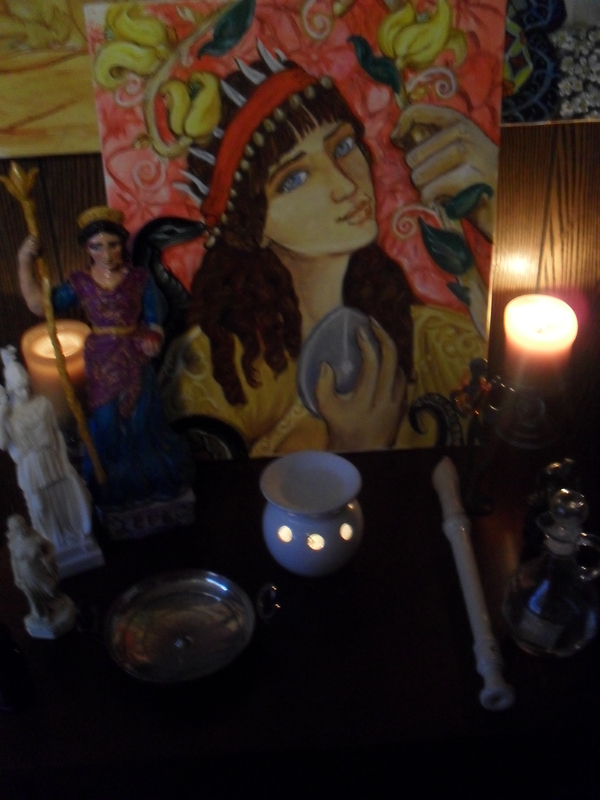 During the body of the ritual I also read a small part of the Homeric Hymn to Demeter and the Orphic Hymn to Persephone, as well as the Orphic Hymn to Zeus as the bringer of rain for the ripening of the earth, the preperation of the autumn harvest. So hail to you Zeus Epoptes, you who gave your daughter to Hades for the welfare of all mankind, you who are first and greatest among the epoptes.